I looked out to the room of students in my yoga class and looked over at the new person in my class. The student sat up from child’s pose, her eyes glazed over. We were midway into class and you could tell her brain was trying to process an onslaught of new information, and the look of overwhelm on her face said it all. Instantly I felt a tremendous surge of compassion for her. “I understand, I wanted to say to her. “It gets easier, honest“. Because I could relate. That look was not unlike the look on my face last week, staring at a laptop screen of database results with a pile of papers, scattered notes, and due dates looming. Grad school reality had officially hit and I started wondering what on earth I was thinking going back to school. 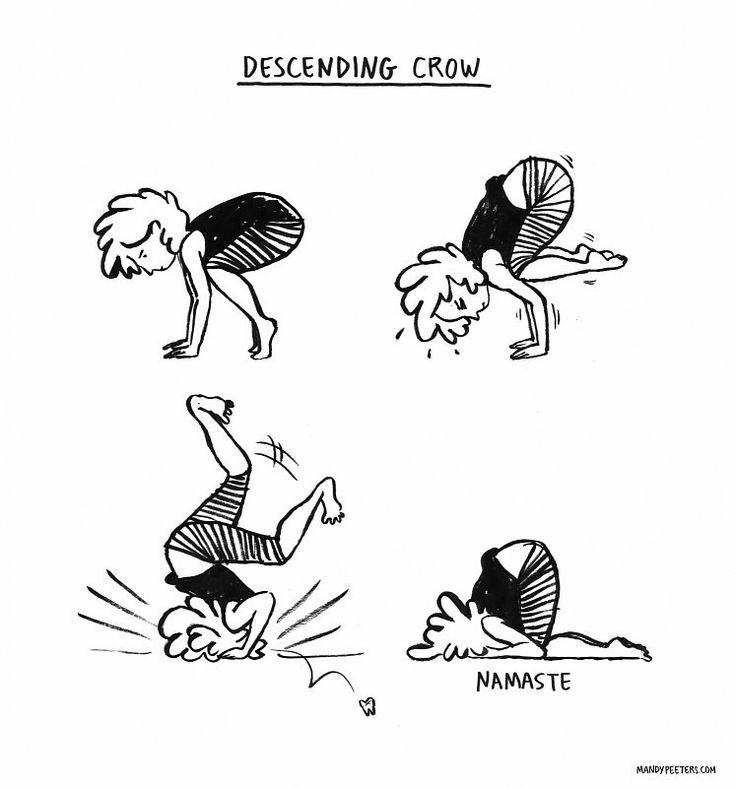 Any time you are new at anything, be it yoga, school, or a new job, you have to go through a period which I call, for lack of a better term, the “new and clumsy” phase. You’re often extra tired because your brain is trying to process new information and remember everything. Things take way longer than you expect them to because you haven’t gotten the hang of things yet. You screw up. A lot. Yet pretty much the universal response I get from new students after class is self-deprecation. “Well, I’m really bad.” “I’m not flexible.” “I can’t do yoga very well.” We all seem to have this expectation that we should get it right – and right away. I think it is partly because being a beginner is tough. You have to accept that it is going to be messy at first. Usually you despair of ever making progress before suddenly you look up one day and notice that your foot is not wobbling as much in that pose. You notice your tight shoulders feeling, well, not quite so tight. No matter how long you have been using a tool, endless upgrades make you into a newbie–the new user often seen as clueless. In this era of “becoming,” everyone becomes a newbie….Endless newbie is the new default for everyone, no matter what your age or experience. (p.15). While it might seem like a bleak notion, it’s actually quite freeing when you realize no one has it all figured out. It takes some of the pressure off yourself. We’re all in the process of “becoming”, as Kelly describes it. In yoga terms, that’s why they call it a “practice”. You are never “done”, rather, every time you unroll your mat is an opportunity to experience a pose. Even the pose you have done a million times is the first time you have experienced in that moment. There is always another layer to unfold; a variation to discover, and another way to go deeper. And that’s what keeps it interesting. There’s a saying that we often teach the lesson we need to learn the most. My recent classes had the theme of embracing being a beginner. I asked students to notice when they started getting into self-deprecation or judgment about their practice. Instead, I invited them to focus on the joy of discovery that comes with being a beginner. Regardless of whether they were new to yoga or a seasoned veteran or somewhere in-between, I challenged us all to approach each pose with curiosity and exploration. I am trying to take this approach to my grad school life. Remembering to breathe. Trusting that the task took me twice as long as expected will be much easier the next time. Being okay with a pile of papers and laundry sometimes. Most of all, reminding myself that I am only in the first few weeks of being in grad school, and maybe I don’t have to have it all figured out yet.